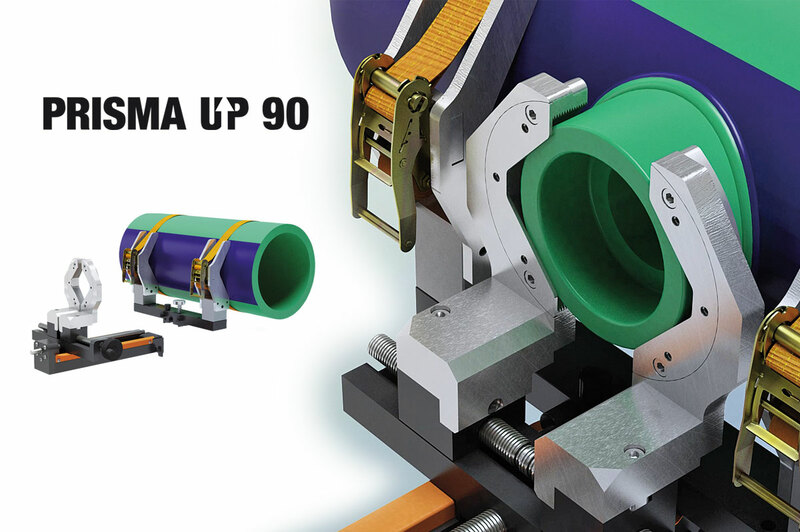 Prisma Up 90 is a special PP-R saddle socket fusion machine. 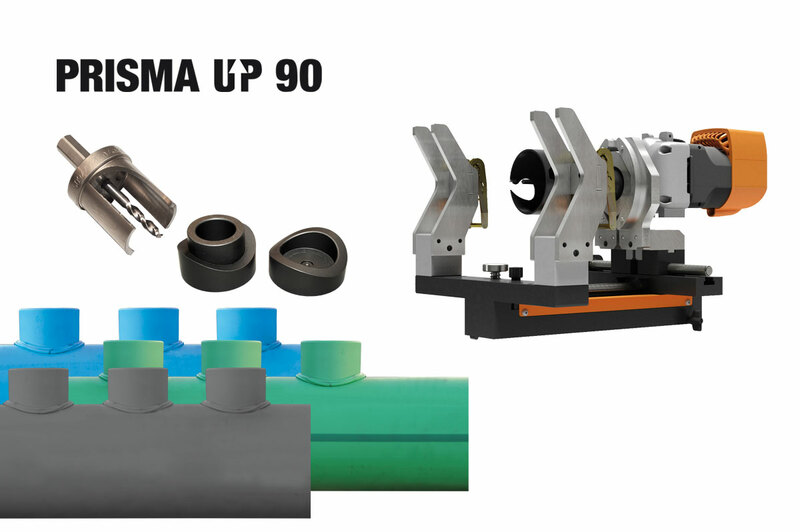 The machine is designed to weld special PP-R joints like collectors and reduced branches. The light weight of the machine enables an easy fixing. 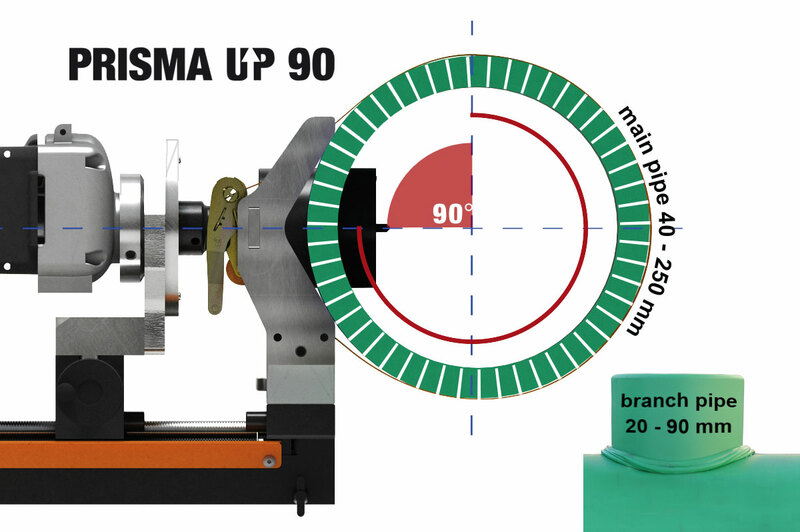 Working range: main pipe Ø 63 ÷ 250 mm ; branch pipe: 20 ÷ 90 mm. The machine is composed of two assembly parts: a main jaws bracket and a frame with fitting carriage jaws. The main jaws bracket is light for an easy fixing on the main pipe. The fitting carriage jaws are designed to mount a driller with hole saw and fitting. 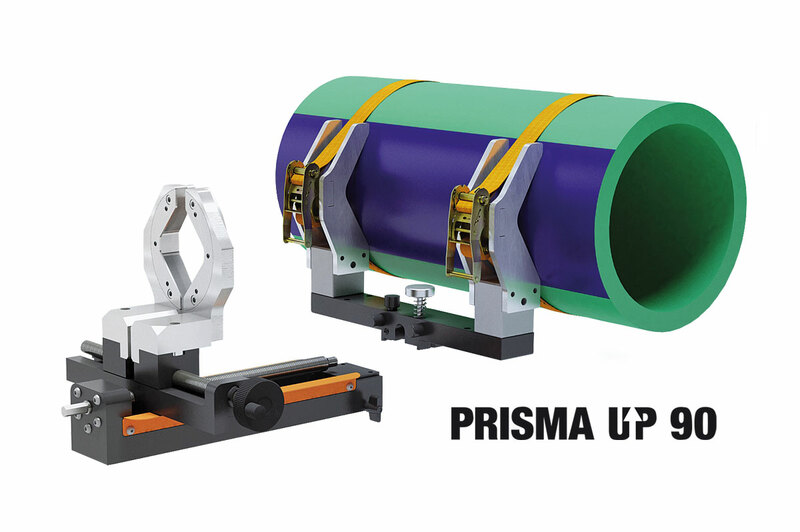 The welding machine makes a perfect centering of drilling and socket weld as well as the perfect alignment between pipe and fitting. The saddle sockets installed on a manual socket welder, heat up the pipe and fitting surfaces. After the heating phase, the fitting is pushed inside the pipe thanks to a screw system which ensures a perfect alignment of the fittings. Available saddle sockets or major brands.